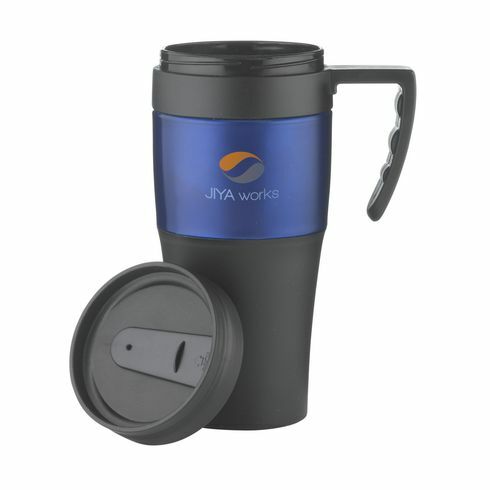 Double-walled stainless steel and plastic thermo mug with screw top lid and slide/click opening. 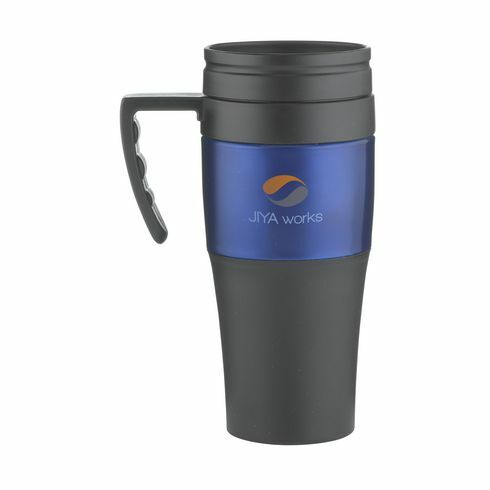 Capacity 450 ml. Each piece in a box.